Assessment Updates will be posted on this web-site to: 1) Assess “pre-review” cigars that were not given a rating or score (typically pre-release cigars); 2) Provide numeric ratings to cigars previously assessed prior to the implementation of the numeric scoring system; 3) Provide a re-assessment and re-score of a previously assessed/score cigars. Today, we provide an assessment rating and score to the Casa Fernandez Aniversario Series Boheme No. 35. This was a cigar we did a pre-release assessment on back in October, 2013. The Casa Fernandez Aniversario Series Boheme No. 35 is a cigar to commemorate the 35th anniversary of Tabacalera Tropical (the brand’s parent company and factory). In addition this marks the first true limited edition released by Casa Fernandez. Tabacalera Tropical was founded by Pedro Martin (the father of Maria Martin, formerly known for her Martin Family of Cigars company). 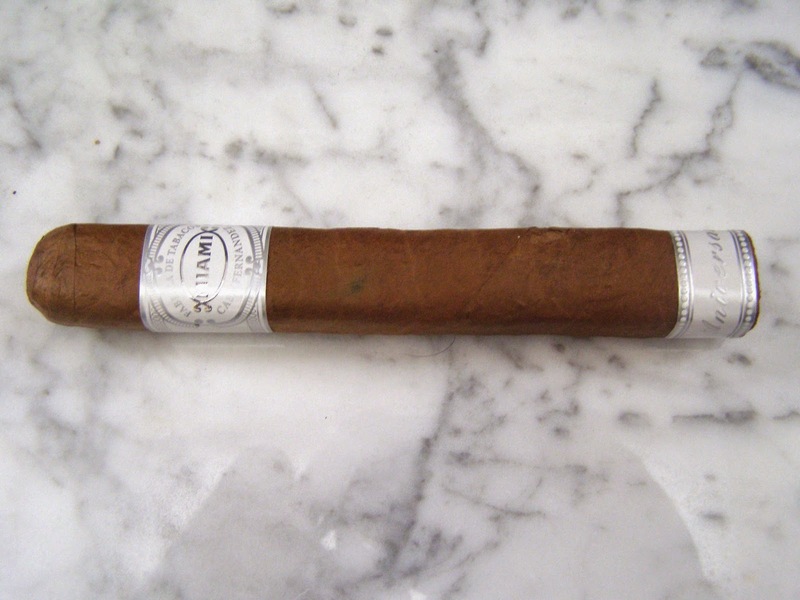 In 2002, Tabacalera Tropical was purchased by Eduardo Fernandez back in 2002. The Casa Fernandez Aniversario Series Boheme No. 35 is a Nicaraguan puro featuring the company’s signature Aganorsa tobacco grown on their farms in Nicaragua. The cigar itself is produced at Casa Fernandez’s Miami-based factory. The cigar was only released in a 6 x 54 box-press. It is packaged ten cigars per box and production was limited to 2,000 boxes. This cigar delivers a flavor profile of earth, pepper, dried fruit, and cocoa. I found a wonderful synergy between these flavors throughout the smoke. On the pre-release I picked up more of an herbal spice, but the spice seemed more classic black pepper here – and I think it worked really well. I also found this cigar to have a little more in terms of strength and body than the pre-release. It delivers a full-bodied smoke countered by some medium to full strength. This could be more of a timing thing on how the cigar effected my pallet, but again, I liked what I was getting this time around. This is an absolute box-worthy cigar now – and ranks among Casa Fernandez’s best work.